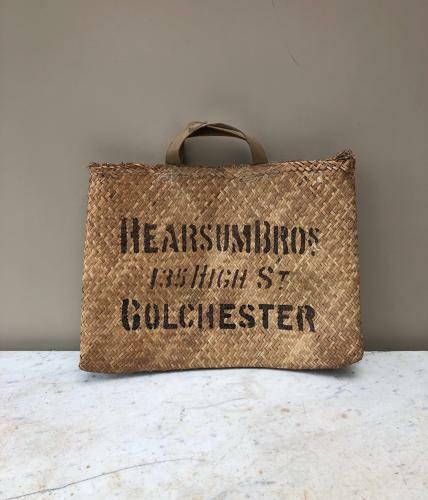 Lovely condition Early 20th Century Shops Advertising Woven Reed Basket Bag. HEARSUM BROS. 135 HIGH STREET. COLCHESTER.